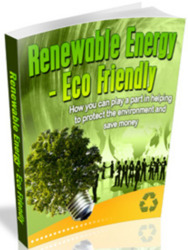 Renewable energy systems offer alternative solutions to decrease the dependence on fossil fuels. The total worldwide renewable energy desalination installations amount to capacities of less than 1% of that of conventional fossil-fueled desalination plants (Delyannis, 2003). This is mainly due to the high capital and maintenance costs required by renewable energy, making these desalination plants non-competitive with conventional fuel desalination plants. Solar desalination plants coupled with conventional desalination systems have been installed in various locations in the world. The majority of these plants are experimental or demonstration scale. A comprehensive review of renewable energy desalination systems is given by the author in Kalogirou (2005). This section presents examples of desalination plants powered by renewable energy systems; they comprise systems not included in this book, such as wind energy and geothermal energy systems. A comprehensive review of the various types of collectors currently available is presented in Chapter 3. The solar system indicated in the various figures of Section 8.4 is composed of a solar collector array, a storage tank, and the necessary controls. A detailed diagram of such a system is shown in Figure 8.12. In the storage tank, seawater flows through a heat exchanger to avoid scaling in the collectors. The solar collector circuit operates with a differential thermostat (not shown), as explained in Chapter 5, Section 5.5. The three-way valve, shown in Figure 8.12, directs seawater either to the hot water storage tank heat exchanger or through the boiler when the storage tank is depleted. In some desalination systems, such as the MEB, the solar system must be able to provide low-pressure steam. For this purpose, parabolic trough collectors are usually employed, and one of the three methods of solar steam generation outlined in Chapter 7 can be used. FIGURE 8.12 Connection of a solar system with a desalination system. Solar thermal energy is one of the most promising applications of renewable energy for seawater desalination. A solar distillation system may consist of two separated devices: the solar collector and the conventional distiller (indirect solar desalination). Indirect solar desalination systems usually consist of a commercial desalination plant connected to commercial or special solar thermal collectors. With respect to special solar thermal collectors, Rajvanshi (1980) designed such a solar collector to be connected to an MSF distillation plant. Hermann et al. (2000) reported on the design and testing of a corrosion-free solar collector for driving a multieffect humidification process. The pilot plant was installed at Pozo Izquierdo, Gran Canaria, Spain (Rommel et al., 2000). Details of solar ponds are given in Chapter 10. These are used mainly for electric power generation. Another use of the output from salt-gradient solar ponds, however, is to operate low-temperature distillation units to desalt seawater. This concept has applicability in desert areas near the oceans. Solar pond coupled desalination involves using hot brine from the pond as a thermal source to evaporate the water to be desalted at low pressure in a multiple-effect boiling (MEB) evaporator. Matz and Feist (1967) proposed solar ponds as a solution to brine disposal at inland ED plants as well as a source of thermal energy to heat the feed of an ED plant, which can increase its performance. Details of photovoltaic systems are given in Chapter 9. The photovoltaic technology can be connected directly to an RO system; the main problem, however, is the currently high cost of PV cells. The extent to which the PV energy is competitive with conventional energy depends on the plant capacity, the distance to the electricity grid, and the salt concentration of the feed. Kalogirou (2001) and Tzen et al. (1998) analyzed the cost of PV-RO desalination systems. Al Suleimani and Nair (2000) presented a detailed cost analysis of a system installed in Oman. Thomson and Infield (2003) presented the simulation and implementation of a PV-driven RO for Eritrea with variable flow that is able to operate without batteries. The production capacity of the system was 3 m3/d with a PV array of 2.4 kWp. The model was validated with laboratory tests. The Canary Islands Technological Institute (ITC) developed a stand-alone system (DESSOL) with capacity of 1-5 m3/d of nominal output. 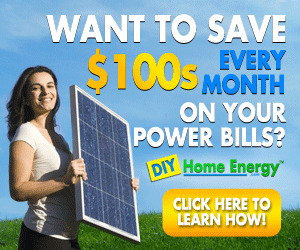 Another way of using PV is in combination with ED. The ED process is more suitable than RO for brackish water desalination in remote areas. Several pilot plants of ED systems connected to photovoltaic cells by means of batteries have been implemented. Gomkale (1988) analyzed solar desalination for Indian villages and concluded that solar cell-operated ED seems more advantageous for desalting brackish water than conventional solar stills. A PV-driven ED plant was installed at Spencer Valley, New Mexico. It was developed by the Bureau of Reclamation in the United States (Maurel, 1991). Experimental research in PV-ED was also performed at the Laboratory for Water Research, University of Miami, Miami, Florida (Kvajic, 1981) and at the University of Bahrain (Al-Madani, 2003). A brief historical introduction to wind energy and some basic considerations are given in Chapter 1, Section 1.6.1. Since RO is the desalination process with the lowest energy requirements (see Section 8.6) and coastal areas present a high availability of wind power resources (Doucet, 2001), wind-powered desalination is one of the most promising alternatives for renewable energy desalination. A preliminary cost evaluation of wind-powered RO is presented by Garcia-Rodriguez et al. (2001). In particular, the influence of climatic conditions and plant capacity on product cost is analyzed for seawater RO driven by wind power. Additionally, the possible evolution of product cost due to possible future changes in wind power and RO technologies is evaluated. Finally, the influence on the competitiveness of wind-powered RO with conventional RO plants due to the evolution of financial parameters and cost of conventional energy is pointed out. Another area of interest is the direct coupling of a wind energy system and a RO unit by means of shaft power. Research in this field has been carried out at the Canary Islands Technological Institute (ITC, 2001). On Coconut Island, off the northern coast of Oahu, Hawaii, a brackish water desalination wind-powered RO plant was installed. The system directly uses the shaft power production of a windmill with the high-pressure pump and RO. In particular, constant freshwater production of 13 L/min can be maintained for wind speed of 5 m/s (Lui et al., 2002). 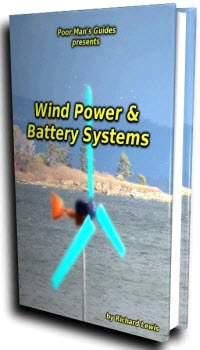 Another investigated possibility is the use of wind power directly with an MVC. A detailed analysis of the influence of the main parameters of such systems was performed by Karameldin et al. (2003). On Borkum Island, in the North Sea, a pilot plant was erected with a freshwater production of about 0.3-2 m3/h (Bier et al., 1991). On Ruegen Island, Germany, another pilot plant was installed with a 300 kW wind energy converter and 120-300 m3/d freshwater production (Plantikow, 1999). Finally, another investigated possibility is the use of wind power with ED. Modeling and experimental tests results of one such system with a capacity range of 192-72 m3/d, installed at the ITC, Gran Canaria, Spain, are presented by Veza et al. (2001). Borj-Cedria, Tunisia (Maurel, 1991). The system consists of a 0.1 m3/d compact solar distiller, a 0.25 m3/h RO plant, and an ED plant for 4000 ppm brackish water. The energy supply system consists of a photovoltaic field with a capacity of 4 kW peak and two wind turbines. Measurements show that the ground temperature below a certain depth remains relatively constant throughout the year. This is because the temperature fluctuations at the surface are diminished as the depth of the ground increases due to the high thermal inertia of the soil. 1. Surface zone reaching a depth of about 1 m, in which the ground temperature is very sensitive to short time changes of weather conditions. 2. Shallow zone extending from the depth of about 1 to 8 m (for dry, light soils) or 20 m (for moist, heavy, sandy soils), where the ground temperature is almost constant and close to the average annual air temperature; in this zone, the ground temperature distributions depend mainly on the seasonal cycle weather conditions. 3. Deep zone below the depth of the shallow zone, where the ground temperature is practically constant (and rises very slowly with depth according to the geothermal gradient). There are different geothermal energy sources. They may be classified in terms of the measured temperature as low (<100°C), medium (100-150°C), and high temperature (>150°C). The thermal gradient in the earth varies between 15 and 75°C per kilometer depth; nevertheless, the heat flux is anomalous in different continental areas. Moreover, local centers of heat, between 6 and 10 km deep, were created by the disintegration of radioactive elements. Barbier (1997; 2002) presented a complete overview of geothermal energy technology. Baldacci et al. (1998) reported that the cost of electrical energy is generally competitive, 0.6-2.8 US cents/MJ (2-10 US cents/kWh) and that 0.3% of the world total electrical energy generated in 2000, i.e., 177.5 billion MJ/a (49.3 billion kWh/a), is from geothermal resources. Geothermal energy can be used as a power input for desalination. Energy from the earth is usually extracted with ground heat exchangers. These are made of a material that is extraordinarily durable but allows heat to pass through it efficiently. Ground heat exchanger manufacturers typically use high-density polyethylene, which is a tough plastic, with heat-fused joints. This material is usually warranted for as much as 50 years. The fluid in the loop is water or an environmentally safe antifreeze solution. Other types of heat exchangers utilize copper piping placed underground. The length of the loop depends on a number of factors, such as the type of loop configuration, the thermal load, the soil conditions, and local climate. A review of ground heat exchangers is given by Florides and Kalogirou (2004). Low-temperature geothermal waters in the upper 100 m may be a reasonable energy source for desalination (Rodriguez et al., 1996). Ophir (1982) gave an economic analysis of geothermal desalination in which sources of 110— 130°C were considered. He concluded that the price of geothermal desalination is as low as the price of large multi-effect dual-purpose plants. Possibly the oldest paper found regarding desalination plants assisted by geothermal energy was written by Awerbuch et al. (1976). They reported that the Bureau of Reclamation of the U.S. Department of the Interior investigated a geothermal-powered desalination pilot plant near Holtville, California. Boegli et al. (1977), from the same department, reported experimental results of geothermal fluids desalination at the East Mesa test site. The processes analyzed included MSF distillation and high-temperature ED as well as different evaporation tubes and membranes. Another possibility that can be investigated is the use of high-pressure geo-thermal power directly as shaft power on desalination. Moreover, there are commercial membranes that withstand temperatures up to 60°C, which permits the direct use of geothermal brines for desalination (Houcine et al., 1999).